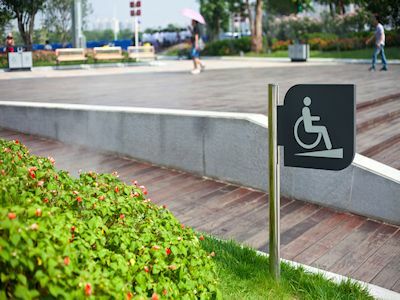 The number of Americans with Disability Act or ADA lawsuits – Title I actions against employers for workplace violations or discrimination and Title III actions for ADA compliance violations in a public space – has almost tripled in the past few years. “Serial plaintiffs” search for violations against California businesses and then file a lawsuit, hoping to at least settle for the minimum established under California law: $4,000 plus attorney’s fees. The “Lawyer for Employers” team is prepared to help you to reduce or eliminate your risk of an ADA dispute, violation or lawsuit altogether. We have decades of ADA experience and take the legal requirements of ADA very seriously. We provide advice and counsel to our business clients regarding ADA compliance as employers, as well as the importance of coming into and remaining in compliance with all aspects of a visitor’s experience and engagement with the spaces and amenities of a public business, property or establishment. ADA Title I actions are primarily related to the workplace relationship between an employer and a qualified disabled employee. Any employer or business with more than 15 employees is required to fully understand and comply with ADA laws and regulations. The Americans with Disabilities Act also prohibits an employer from retaliating against a disabled applicant or employee for taking legal actions under the protection of the ADA. 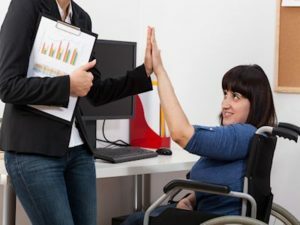 Many employers do not realize that the ADA extends to prohibit discrimination against an employee or candidate based upon their relationship with or affiliation with a person who is disabled. Title III ADA actions are disputes or lawsuits related to access in a public space, interaction with electronic communications and features, policies and procedures and the experience a disabled person may have when attempting to access a public business and enjoy its amenities. The “Lawyer for Employers” team works in conjunction with California Certified Access Specialists who are experts in the evaluation of physical space planning and accommodation for compliance with ADA regulations. Our work considers all aspects of a physical space and the amenities and electronic and public communications contained therein, including but not limited to signage, building or property directories, phones and communications systems, kiosk access, as well as auditory communications or announcements. Our legal team also works with your company’s management and staff to confirm a thorough understanding of ADA laws, as well as your own internal policies and procedures. Employees have obligations to accommodate those with disabilities, and the failure to perform in this area can result in a serious and expensive dispute or lawsuit. The “Lawyer for Employers” has decades of experience defending employers and business owners in ADA matters, as well as business and liability litigation. We have developed a strong track record of success in employer defense cases and trials relating to discrimination or sexual harassment. We defend our client’s interests proactively and aggressively, and work to ensure that every aspect of the ADA challenge has been remediated while uncovering the genuine impact of the alleged issues (or lack thereof) upon the plaintiff . Our primary mission is to resolve ADA disputes and litigation in the shortest possible time frame and in a cost-effective manner, while accomplishing your objectives for the situation at hand. We believe in the value of leveraged negotiation, and our skilled attorneys successfully bring the vast majority of our cases to conclusion with a successfully negotiated settlement. 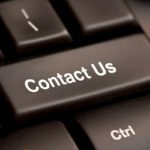 If you are a San Diego employer who is concerned with ADA compliance issues, or need the services of a law firm with decades of successful experience defending business owners and employers in ADA lawsuits, business litigation and other employment disputes we invite you to contact us or call for a free and substantial consultation at (619) 996-9960.